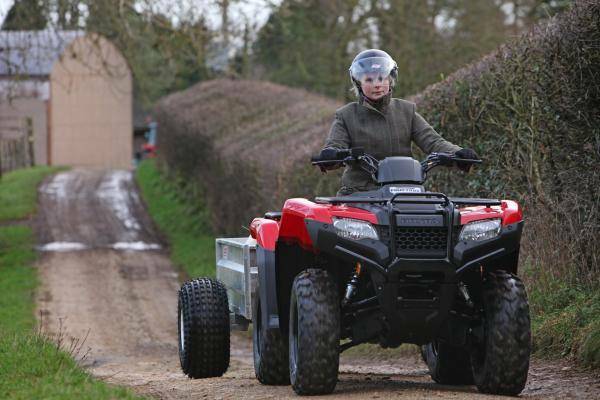 A Honda ATV is the ultimate work mate. 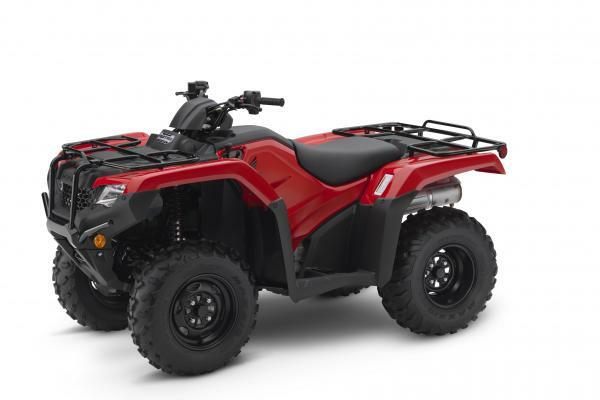 Each is built with the quality, technology and reliability that only Honda can inject, and will last for years, providing unstoppable service ­in all conditions and weathers. 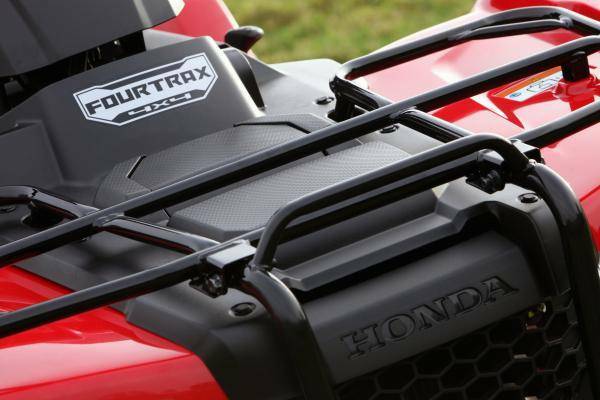 The Fourtrax 420 is the all-round ATV and Honda’s best seller. 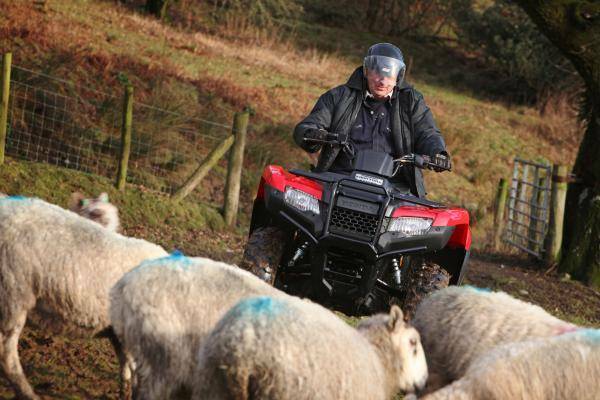 Its combination of class leading power, easy-to-manage size and affordability make it the perfect choice for all sorts of duty, and a variety of model variants – starting with a fast and agile 2wd base model – make finding the perfect Fourtrax a straightforward task. 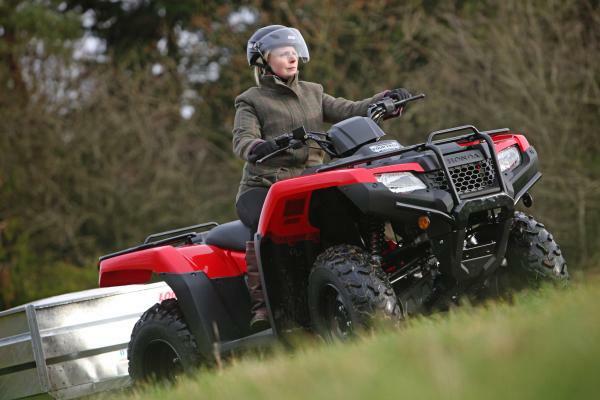 For 2014 Honda has taken its do-everything ATV back to the drawing board, improving its performance, reliability and all-round ability with an all-new chassis and host of technical upgrades. Totally new frame, swingarm and longer travel front and rear suspension. Front and rear suspension adjustable for spring preload. Rear brake located inside rear wheel. Plastic CV joint boots and sealed steering knuckle bearings. Redesigned bodywork maintains rider protection. Comfort has been enhanced with optimised ‘rider triangle’ for different sized riders and a thicker seat design. Tank cover/side covers remove in one piece for easy engine access. 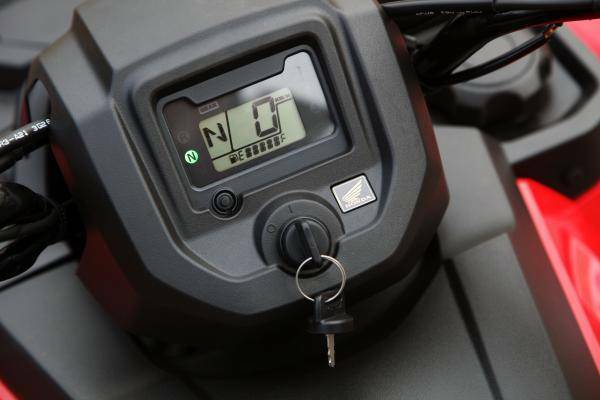 The 420cc engine’s fuel injection has been re-mapped for greater throttle control, power delivery and 10% increase in fuel efficiency. Copyright © Joe Whelan Ltd.. All Rights Reserved.